The City of Austin was the first municipality in Texas to make a commitment to include works of art in construction projects. By ordinance, 2% of eligible capital improvement project budgets are allocated to commission or purchase art for that site. 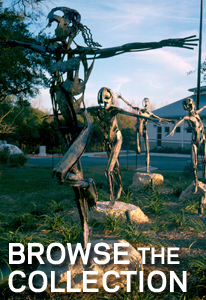 Austin’s Public Art Collection is found at sites such as the airport, convention center, libraries, parks, police stations, recreation centers, and streetscapes, enhancing public spaces for all residents and visitors to our City. 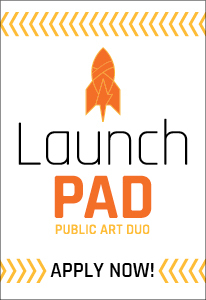 Are you interested in applying for a public art commission? Are you curious about the artist selection process? Would you like to know more about our current opportunities? Art in Public Places staff are available to discuss any topic related to public art in Austin during our monthly open office hours -- third Wednesday of each month, 1:00 to 3:00 p.m., at Cultural Arts Division offices (201 E. 2nd Street). No appointments necessary.